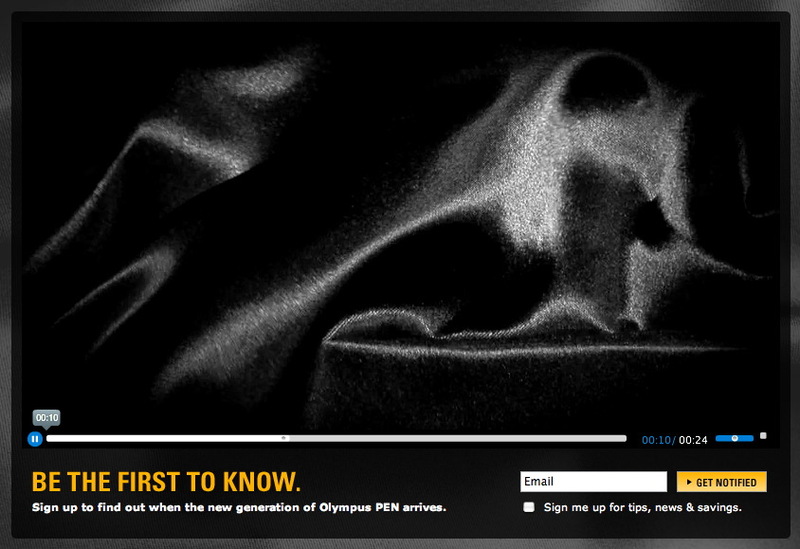 Olympus has launched a teaser website for the next generation PEN camera. I'll have coverage of the new gear once the embargo is lifted. Given these circumstances, a few thoughts come to mind. If you thinking of buying a new Olympus PEN or accessories, sit tight. If you're thinking of buying any micro four thirds or compact ILC, sit tight. Keep in mind that Olympus handles image stabilization in the body, not in the lens. So in addition to any tempting glass Olympus may or may not announce, other micro four thirds lenses work great on PEN cameras. It's been a great few weeks of announcements in this category. Panasonic released the impressive DMC GF3 and the Leica DG Summilux 25mm F1.4 prime lens in the micro four thirds mount. Pentax announced the 'Q' mirrorless interchangeable lens camera and five Pentax lenses to go with it. But there's more to come, and it's very good stuff. Stay tuned.